Congratulations! 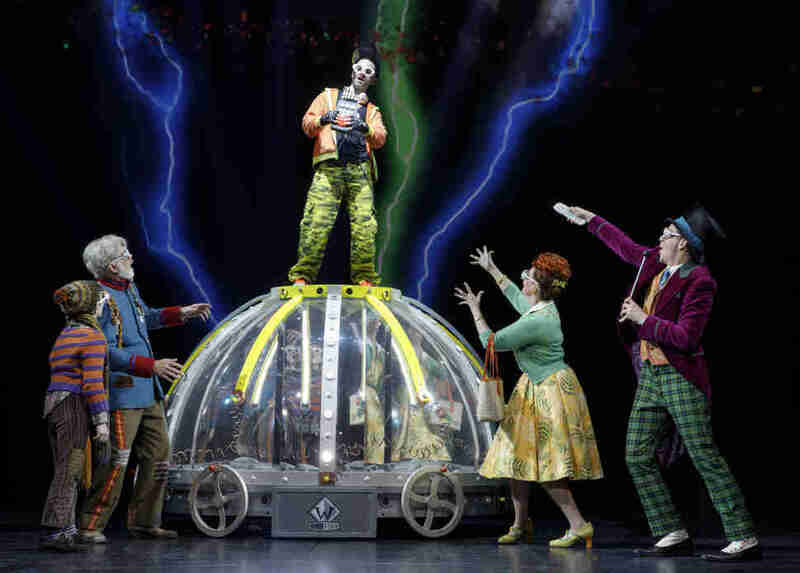 You just survived one of SF’s longest, coldest, wettest winters in years. And though we’re not saying to put away your raincoats and galoshes or abandon your dreams of finally getting through your entire Netflix queue quite yet, we are saying that now that spring has made an appearance, you may actually be able to bike to work in relative comfort, or (if combining exercise and commuting isn’t your thing) at least enjoy an after-work drink outside under that blue canopy thing that’s been playing hard to get for so long. You can also do a bunch of this fun stuff, including five beer-specific festivals, nine food festivals, a couple of foot races involving mud, costumes, and drinking, several film festivals, and, of course, a bunch of free street fairs. Just enjoy it while you can because before you know it summer will be here and that blue canopy thing will get swallowed up by our favorite frenemy, Karl the Fog. Dozens of breweries will be pouring over 200 beers at the Bay Area Brew Festival that will also have DJs, a dueling piano bar situation, and food trucks. Choose from two sessions (noon to 4pm or 5:30-8:30pm) and get VIP if you want an extra hour of sampling. 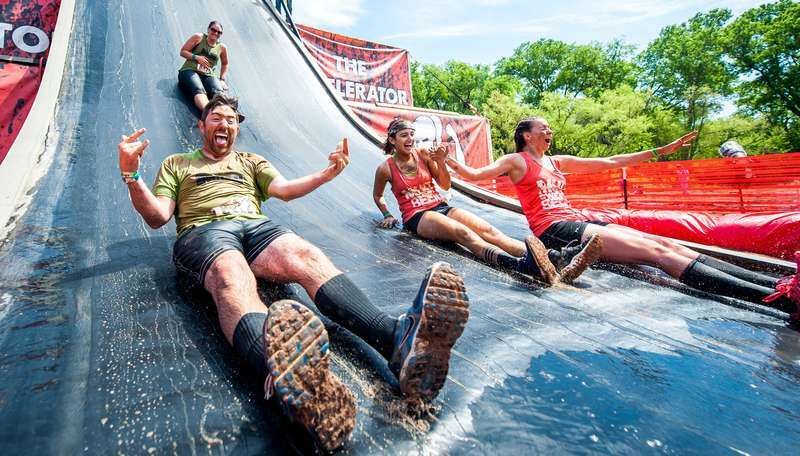 Rugged Maniac Obstacle Race is part festival, part mud run with interactive games, food, beer, and a 3-mile course with over 20 obstacles, including a water slide, a fire jump, and a climb through muddy water under barbed water. Not into the muddy part? Anyone can attend the festival for free. The California Artisan Cheese Festival is a weekend long celebration of the artisan cheesemaking community, which means you get to take farm and producer tours, go to seminars, and spend all of Sunday afternoon tasting products from more than 100 artisan cheese and food producers, winemakers, brewers, distillers, and more. 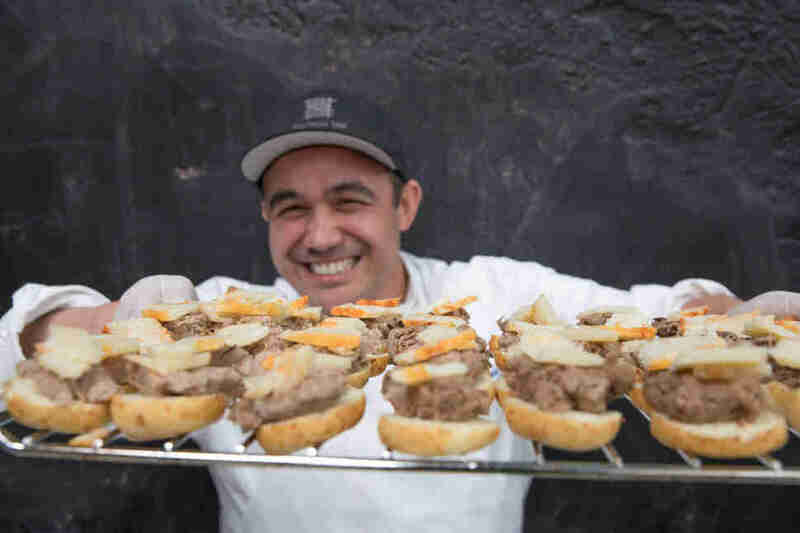 SF’s culinary community will be out in full force for Taste of the Nation, a fundraiser for No Kid Hungry. Participating restaurants include China Live, Frances, The Slanted Door, and many more. Not that you need an excuse to eat delicious food, but in case you do, this is one of the best there is. If unlimited samples of artisan, gourmet, and premium chocolate sounds like something you’d enjoy, you won’t want to miss the San Francisco International Chocolate Salon. Check out demonstrations and chef and author talks between bites. Or during. No judgment. Dozens of breweries will be pouring at Battle of the Brews, a beer competition and festival with all-inclusive beer and food tastings, live music, and your chance to vote for the People’s Choice award. Get VIP if you want to attend the VIP Craft Cup Competition and start the day three hours earlier. SF Grilled Cheese Fest is the ultimate festival celebrating possibly the best comfort food on earth. There will be tons of food trucks all serving up different grilled cheese concoctions, plus optional all-you-can-drink craft beer. 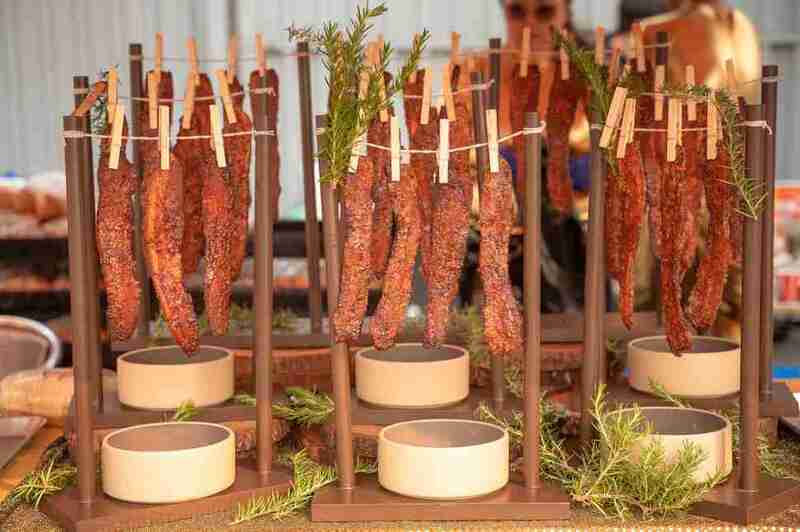 Head south for the Bacon and Beer Classic where you can eat unlimited bacon dishes from local chefs, sip 100+ craft beers, listen to music, play games, and even enter a bacon eating contest that’s different than the one you enter every Sunday in your kitchen. VIP gets you in an hour early, special dishes, and access to private bathrooms. The Northern California Cherry Blossom Festival is a two-weekend long celebration of Asian traditions. 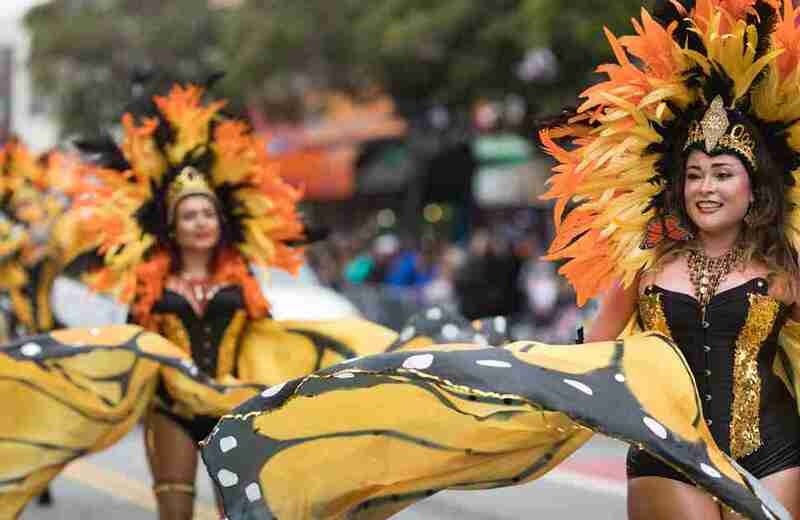 There are dozens of cultural programs, like tea ceremonies and martial arts demonstrations, as well as music, fashion shows, tons of food (including a ramen eating contest), all culminating in the grand parade from the Civic Center to Japantown. The San Francisco International Beer Festival has something for everyone, including people who love to drink spirits. The event includes unlimited 4-ounce beer samplings from 100+ brewers, spirit samplings, and bites of food, as well as live music and game. Go VIP if you want to get in 90-minutes early and have dedicated bathrooms. David Payne plays the famous British author in this theatrical experience where audiences learn about the people and events in C.S. Lewis’ life, including why he abandoned the Narnia Chronicles, his friendship with J.R.R. Tolkien, and more. Experience Mendocino without the winding drive north at this event where you’ll sip some of the best pinot noirs in California, as well as other robust reds, crisp whites, and bubbles, sample delicious artisanal foods, and learn a little more about what makes Mendocino so magical. Get unlimited tastes of some of SF’s best food and drinks at Taste of Potrero, a fundraising event for Daniel Webster Elementary School. Over 50 bars and restaurants are participating, include Uma Casa, Gibson, Barvale, Nopa, The Sea Star, Third Rail, School Night, and Lolinda. Upgrade to VIP to get in an hour early. 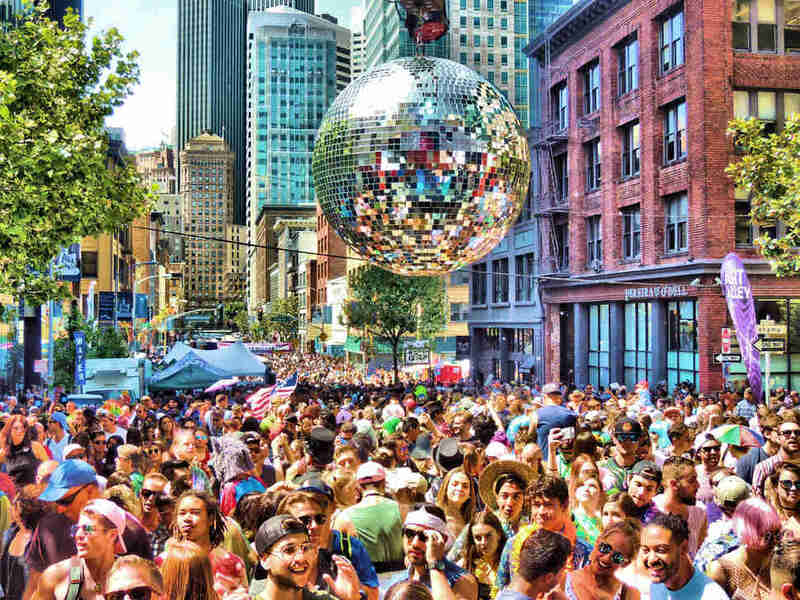 Put on a colorful costume and dance in the street at the How Weird Street Faire. This year’s theme is “Time Warp: A Love Story” (aka ‘80s). There will be nine stages of electronic music, cool art to look at, cool art (and other stuff) to buy, and lots of food. The SF Maritime Beer Fest takes place alongside the USS Pampanito, a World War II submarine, so you can take in a little history and views of the Bay while you simultaneously take in beer from amazing craft brewers. Mother’s Day is May 12, so be sure to pick up the phone and tell the woman who reared you how much you appreciate everything she does. Cost: Free to call… flowers? Those will cost ya. Bay to Breakers is a 12k race from the Bay to … yup, you got it: the breakers. It’s also SF’s most famous footrace, which may or may not have something to do with how many people choose to drink it instead of run it. Harrison St. between 16th and 24th Sts. The theme of this year’s Carnaval is “Culture Heals.” Find out how true that is during the massive two-day celebration that includes global cuisine, international music, dance, and arts, and lots of other entertainment, including the Grand Parade at 9:30am on Sunday. SF DocFest is two weeks of documentary films about everything from politics to music to social issues and more. Get a pass and go to all of the films, check out one or two, or binge as many as you can in one day. While a lot of people think of the Union Street Fair as a drinking fair, there is also a lot of live music, including 24 bands playing jazz, blues, country, and bluegrass. There are also lots of vendors selling their wares and YES: wine and beer (that has to be consumed inside of the beer gardens, although all of the bars along the street get into the action as well). California produces some of the most delicious artichokes. Experience how delicious they are at the Castroville Artichoke Food & Wine Festival. Get ‘em steamed, grilled, fried, and even in cupcakes. There will also be field tours, a farmers market, a wine, beer, and spirits garden, and live music all day long. Thousands and thousands of people flock to Haight Street for this annual street fair that has live music on two stages (and a Battle of the Bands competition), traditional street fair food, and 200 vendors selling all kinds of stuff. Eat a corn dog and then head to one of the jam-packed bars for drinks. Daisy Barringer is a freelance writer who plans to spend most of her spring enjoying the snow in Tahoe with her 150-pound Saint Bernard. See how adorable he is on Instagram @daisysf.